I have been in the electrical industry for over 20 years and have built a strong reputation as an honest and reliable electrician in Southampton. Based in Fair Oak I have undertaken word for my local church and a wide range of various local businesses who call on me on a regular basis for electrical services and advice. 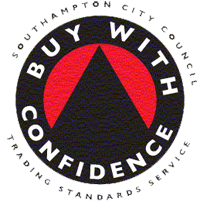 I have accrediaction to back up my electrical knowledge with a full NICEIC approved contractor status, ‘Buy With Confidence’ Trading Standards Membership and I am a member of CheckaTrade where I enjoy positive feedback from many clients. Copyright © 2010 Electrical Services Southampton | Tony Breach. All Rights Reserved.